Each month Gramercy participates in challenges surrounding physical activity and nutrition. We strongly believe in practicing what we preach so these challenges will help get us up and moving! This month, we will be participating in a 5k run so this challenge will test your running endurance. 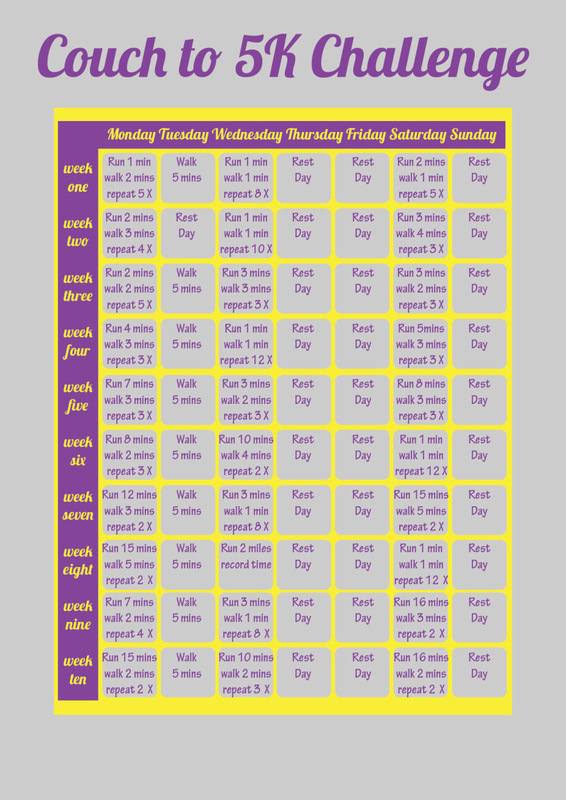 Each day you will have timed run and walk segments for each workout. The time increases each day. By the time you complete the challenge you should have longer endurance which is critical in completing a 5k run. 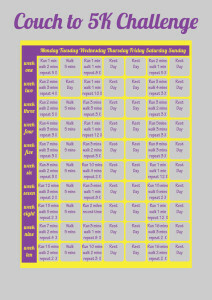 More information about the challenge will be on the chart below.